Farewell to @MrsFairtrade - and Thank You! It has been such a privilege for the Luton Fairtrade Steering Group to have had the opportunity to work with and alongside Sue Bentley as one of our many enthusiastic and leading members. Now Sue is moving on in life, leaving life in Harpenden to settle up north in Scotland. A Fairtrade Gift Hamper was presented to Sue Bentley in the presence of Alex Mayer, MEP (Member of European Parliament), at a recent Fairtrade School Assembly which was co-led by Sue, Ryad Khodabocus and Sr Maire Hayes, during this year's Fairtrade Fortnight at St Margaret of Scotland Primary School, Luton. It was an honour for us that Sue has since been to drop into the GRASSROOTS office for a chat and to handover a bag-full of Fairtrade Footballs and a lovely THANK YOU CARD! For and on behalf of us all, we send our best wishes to Sue and her family for their future plans and are sure we all unanimously agree on this statement of fact that - WE WILL MISS HER BADLY. THANK YOU Sue, for being part of us all and THANK YOU for bringing in your contributions, your energy, your passion to serve and promote the cause of Fairtrade in and around Luton. It has been a joy working with you. Stay blessed, healthy and active as ever! With deep shock and sorrow on this Easter Sunday, Luton’s faith communities, Luton Council and Bedfordshire Police have unanimously expressed their solidarity with the churches and the people of Sri Lanka following the news of the bombings of churches and hotels on Easter Sunday. Over 200 dead, including British Citizens, and many more injured have been claimed, as the news keeps unfolding. Luton Council will be opening a book of condolences at Luton Town Hall as from Tuesday where the public can express their grief and support. A vigil will be being held outside Luton Town Hall on Wednesday 24th April 2019 at 12:30pm. Members of the public are all invited to join to offer our heartfelt prayers for the victims and condolences to all those who have lost loved ones in these appalling acts of violence. 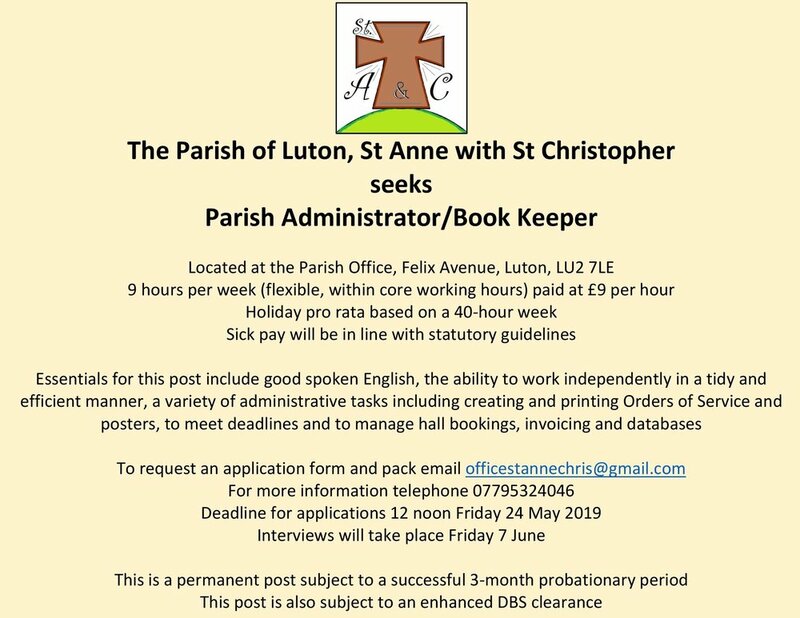 The Parish of Luton, St Anne with St Christopher is seeking a Parish Administrator/Book Keeper! To request an application form and pack email officestannechris@gmail.com! Deadline for applications is at 12 noon on Friday 24th May 2019. Interviews will take place on Friday 7th June 2019. This is a permanent post subject to a successful 3-month probationary period. This post is also subject to an enhanced DBS clearance. Cyclone Idai Disaster Relief - Please help! 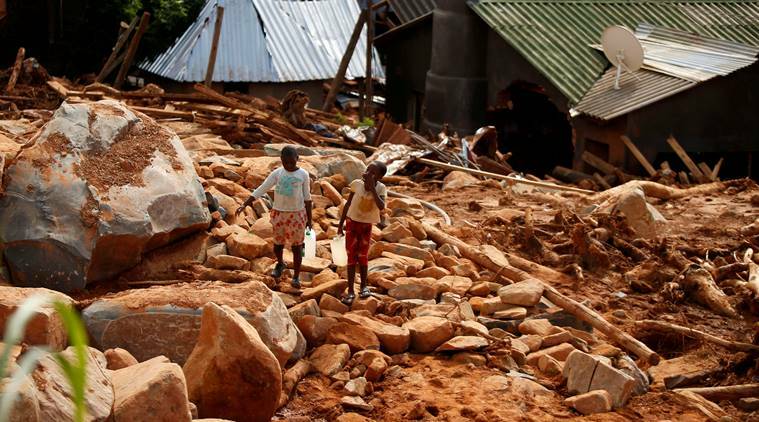 Cyclone Idai has swept through Mozambique, Zimbabwe and Malawi, leaving behind a trail of destruction and tragic loss of life. 2.5 million people now need help. A secondary emergency is already being faced, with cholera and malaria outbreaks already occurring due to stagnant water, poor sanitation, overcrowded conditions in communal shelters, and limited access to clean water. It’s personal for me. I lived and worked in Beira (Mozambique) for 3 years from 2000 to 2003. I flew out just after the last major floods in 2000, when thousands of people faced death and sickness, displacement and total devastation. Now the same is happening all over again. I worked across the central province of Sofala as a VSO (Voluntary Services Overseas) volunteer running a resource centre and teaching training programme. I have friends that I love that have lost their roofs, walls and complete homes, and are now facing an immediate lack of basic needs and need long term help. Can you help me and my fellow friends of Beira raise money to help them rebuild their homes and their lives? Thank you for any support you can give. You are also kindly encouraged to circulate the poster (DOWNLOAD HERE) to your friends, family, colleagues, congregations etc, or even print one off and put it on display. You could also download some social media images (see below) to post online too, as even one extra donation could be the difference between life and death. Karen Campbell, a United Reformed Church (URC) Related Community Worker (CRCW) at GRASSROOTS, reflects on the tragic and violent loss of teenagers due to knife crime. For years, the families of murdered teenagers have appealed for more to be done to tackle the violence, and gang grooming, but to no avail. In the year to March 2018, knife killings in England and Wales rose by 34% to a 72-year high. One more fam'ly shattered; One more mother's broken heart. And their broken problem families, With their deaf'ning social noise. As long as trouble doesn't knock my door, So many truths denied. But the colour of the problem, Is the blood which spatters red. So, where’s the power, the resources, Or the will to foster change? For the blinkered and the privileged, Such questions wax quite strange. One more tragedy unregistered, As one more child slips away. In January 2018, Baroness Doreen Lawrence, mother of Stephen Lawrence who was stabbed to death in a racist attack in 1993, predicted that if more victims were white, only then would knife crime be taken more seriously. The Revd Dr Michael Jagessar, URC Secretary for Global and Intercultural Ministries, says: ‘Following the tragic, violent, and senseless deaths of two teenagers – Jodie Chesney on 1 March, in Havering, and Yousef Ghaleb Makkie, on 2 March, in Greater Manchester – there are now high-profile calls for a knife tsar, increased policing, a petition for a Royal Commission to improve and protect policing, and Savid Javid MP, the Home Secretary, to make plans with police chiefs from the parts of the UK most affected by knife crime. ‘This is the response needed for these tragic situations, yet it leaves many wondering why this suggested action was not taken before? 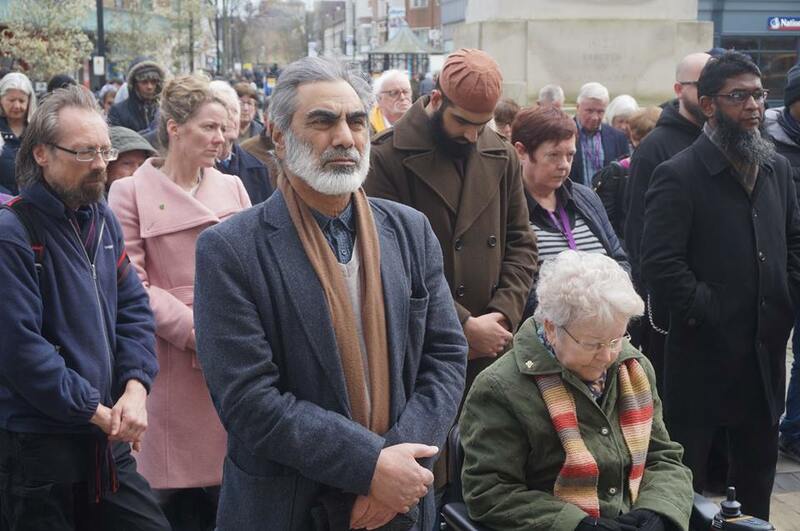 Over 300 people across different faiths and cultures, alongside representatives from Luton Borough Council, Bedfordshire Police, and local and regional media, joined together at short notice for a Peace Vigil on Monday 18th March 2019 following the horror of the New Zealand terror attack. During his recent visit to Luton, Revd Dr Andrew Prasad, Moderator of the United Reformed Church (URC) Thames North Synod, applauded the work of GRASSROOTS Programme and particularly the Church Related Community Work (CRCW) Project led by Karen Campbell in partnership with Bury Park Beech Hill Council of Churches. CRCW Project has been sponsored by the URC and supported by the Methodist Church, for nearly a decade. He was pleased to learn how Karen and others in Luton were able to create ‘Touching Places’, enabling people across faiths, cultures, ethnicities and nationalities to meet-greet and befriend one another, thus dispelling myths and prejudices about one another. Acknowledging it is the Fairtrade Fortnight from 25 February until 10 March, he warmly approved the Fairtrade ethos and congratulated GRASSROOTS and Luton for achieving a Fairtrade Town status. He shared an aspiration to make URC Thames North Synod, a Fairtrade Synod. Near Neighbours Luton won the Strengthening Communities award at the Bedfordshire Police Cohesion Awards on 1st February 2019. Near Neighbours is a national body, with Kim Greig as the lead in Luton (who is based at GRASSROOTS) and is known to care deeply for local communities. Near Neighbours provides small grants for projects or one off events to bring people of different faiths and ethnicities together in local communities in order to build stronger relationships and develop understanding. Join our Fairtrade Cake Baking Competition! Simply bake a cake using Fairtrade ingredients and bring it along with the empty wrappers from at least THREE Fairtrade ingredients you have used! There will be a Fairtrade prize for the best looking and best tasting cake - and a Fairtrade raffle too! For more details download the flyer here. 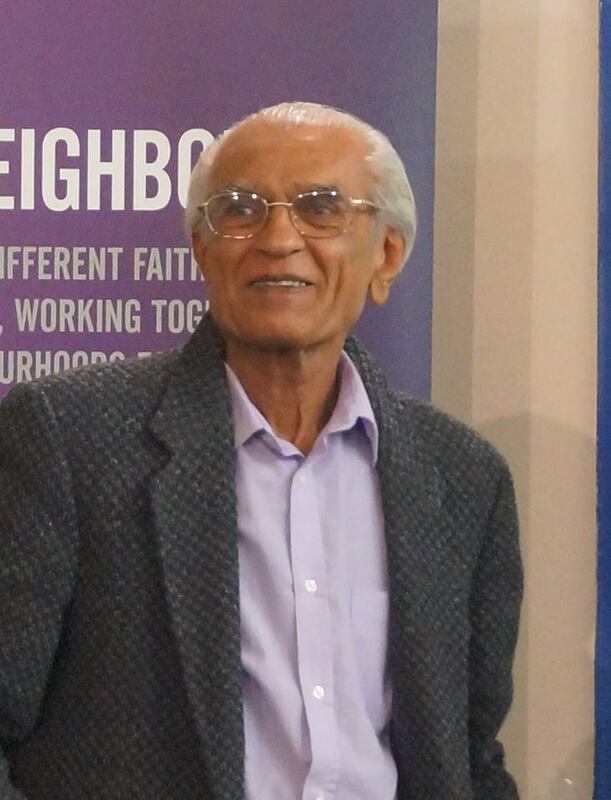 "In Memory of Mr Natwar Sinh Solanki, fondly known as Natu Bhai" of Luton Hindu Community and Vice Chair of Luton Council of Faiths, who sadly passed away on 11th Jan 2019. You are invited for a gathering on Thursday 28th Feb at 6:30pm for 7pm start at the Council Chamber, Town Hall, Luton LU1 2BQ to honor his selfless service and dedication to the communities in Luton and to pay our tribute to him & his family. You can download the invitation here. This event will take place on 7th March 2019 from 6:30pm - 8:30pm at High Town Methodist Church Hall, 47 High Town Road, Luton, Beds, LU2 0BW. Following Natu Bhai passing away last week on Friday, it was heartening to see many of you on Monday 14th January at Hindu Mandir Hall to meet, greet and console Natu Bhai's family. Your presence meant a great deal to the family. They are truly grateful to you all. Many thanks to you all who wrote emails or text messages and Facebook messages expressing your condolences and support for the family. All those messages have been passed on to the family. You are invited to join in for light Lunch after the Funeral at the Hindu Mandir Hall, Hereford Road, Lewsey Farm, Luton LU4 0PS. You can also find all these details on the funeral notification sent by Natu Bhai's family here. It will be great if you are able to make it on Saturday 19th January 2019 at 2pm at Vale Crematorium, Butterfield Green Road, Luton LU2 8DD. Programme to include presentations from victims of genocide, spoken word / poetry, drama performance from the students of Stopsley High School, and an exhibition by Anne Frank Trust (refreshments will be available). It is with great sadness, deep pain and a heavy heart that we share this news that our friend, colleague and LCoF stalwart Mr Natu Bhai Solanki (Vice Chair of Luton Council of Faiths), passed away on 11th January 2019 at 7:30pm at L & D Hospital. His grieving wife, children & their families are all trying hard to come to terms with this bitter reality. We kindly request that we all hold the family in our thoughts and prayers and pray that Natu Bhai's kind and noble soul rest in peace. Christmas celebrations, with 25th Stopsley Guides at the Parish of Luton C of E St Anne with St Christopher, included 50th Anniversary of fun and interactive Christingle Service, raising monies for the Children’s Society. The orange represents the earth God created and the red ribbon represents the love of Jesus wrapped around the world. On the cocktail sticks are sweets and fruits that tell us of God’s generosity. Finally, a candle sits in the centre of the orange – the world – that tells us that Jesus brings light into the entire world. Prayers and monetary gifts were offered for those children that the Children’s Society supports. To everyone’s surprise, Revd Anne Crosby had disappeared mid service, reappearing dressed as a life size Christingle, donning an orange fat suit. People said this was a Christingle Service they would never forget. The Annual Peace Light Service was held at All Saints Church Luton on Monday 17th December 2018. The Peace Light (flame) is brought from Bethlehem, by the Scouts and Guides and is distributed across Europe at Christmas time, spreading the Message of Peace in all countries. Cllr Naseem Ayub, Mayor of Luton, Maqsood Anwar of Madinah Mosque and Sanjiv Kumar of Guru Ravidass Sangat, were the guests of honour. In their talks all the guest speakers highlighted the need to share this light of peace in our troubled world, stay united and fight poverty, austerity which is increasingly seen teasing us in our faces across the United Kingdom these days. In his message Revd David Kesterton, the host Vicar of All Saints Church Luton, reflected on the notion of “Faithful Friends”. This is also a name of a group of 8 people from Muslim, Hindu, Sikh and Christian backgrounds, who have become friends. These friends have asked a question – where is your special spiritual place? Answers varied e.g. a Mosque in West Bromwich, Cathedral in Worcester, Beach in Cornwall, Islamic college in Dewsbury, Golden temple in Amritsar etc. For each, there was a place where their faith had become real. The friends toured each of the places in turn – at each place they listened to their friend telling the story attached to the place. These small acts show our common commitment to peace and working to benefit our wider community. At Christmas, Christians think of Bethlehem as their special place where Jesus was born. Bethlehem in the west bank is not the most peaceful place and we are reminded that the peace light comes into a troubled world – from a troubled land. So we pray for peace and justice in Palestine and invite all of us – all faiths and no faith – to live in peace with one another in the steps of The Prince of Peace. May we be faithful neighbours and friends – not just with those we agree with but also with those we don’t. Mr Sanjiv Kumar of Guru Ravidass Sangat lit the first candle from the Peace Light and passed on the light to be shared amongst more than 100 people present on the evening. Christmas is usually a noisy party: we could use a bit of silence, to hear the voice of Love. Christmas is you, when you decide to be born again each day and let God into your soul. The Christmas pine is you, when you resist vigorous winds and difficulties of life. The Christmas decorations are you, when your virtues are colors that adorn your life. The Christmas bell is you, when you call, gather and seek to unite. You are also a Christmas light, when you illuminate with your life the path of others with kindness, patience, joy and generosity. The Christmas angels are you, when you sing to the world a message of peace, justice and love. The Christmas star is you, when you lead someone to meet the Lord. You are also the wise men, when you give the best you have no matter who. Christmas music is you when you conquer the harmony within you. The Christmas gift is you, when you are truly friend and brother of every human being. The Christmas card is you, when kindness is written in your hands. The Christmas greeting is you, when you forgive and reestablish peace, even when you suffer. The Christmas dinner is you, when you sated bread and hope to the poor man who is by your side. 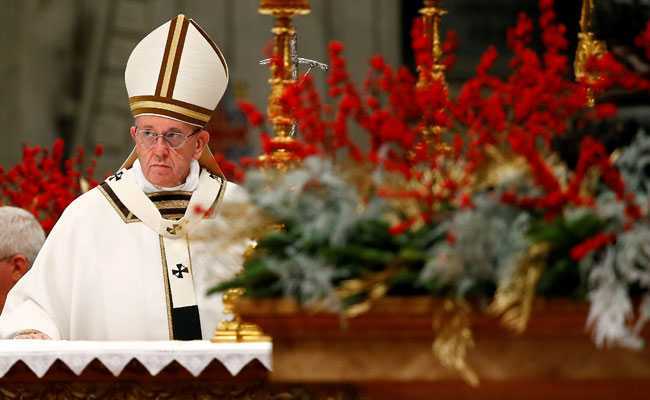 You are, yes, Christmas night, when humble and conscious, you receive in the silence of the night the Savior of the world without noise or great celebrations; you are a smile of trust and tenderness, in the inner peace of a perennial Christmas that establishes the Kingdom within you. A very Merry Christmas for all those who look like Christmas. The Season of Advent is a time of waiting and preparation for Christians to welcome and celebrate the birth of Jesus at Christmas. Hence the Nativity Scene at The Mall in Luton has been attracting the busy shoppers, to pause and reflect on the true meaning of Christmas, but it was Luton Gospel Community Choir and The Salvation Army Choir & Band, which pleasantly and musically surprised and cheered up the shoppers, with an inescapable performance of Carol Songs in The Mall. Besides hot drinks and mince pies, tagged baubles were handed out to people for prayer requests to be written and put on The Prayer Tree, which is a lovely way for people to ask the Churches across Luton to honour their prayer requests. This peace light service is open to all faiths to celebrate the arrival of the Peace Flame from Bethlehem and an opportunity to share peace with one another in our community. Held with the support of the Sea Scouts, Scouts and Guides.